We've all seen The Art Of Chase all over town for years ... on walls, on cars, on skateboards ... on pretty much any and everything. 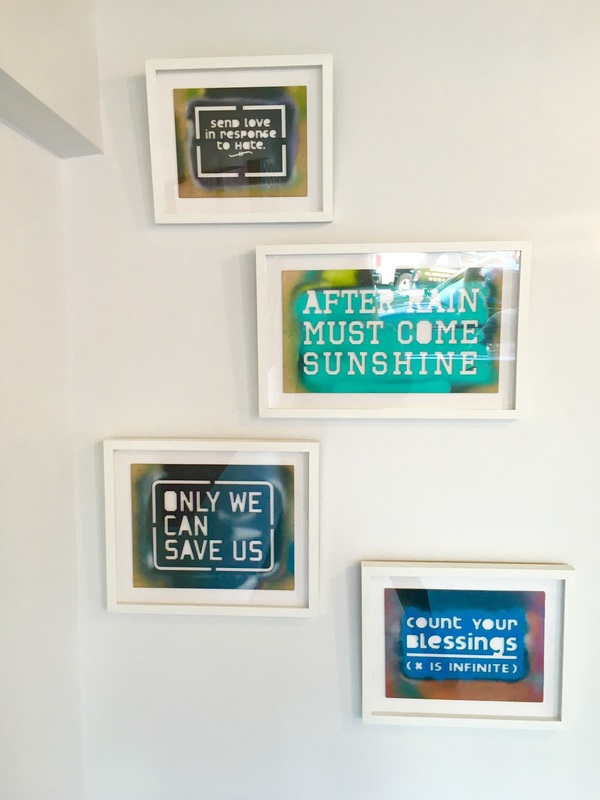 The murals and stencils always have a positive message about how we can all make ourselves and the world better, and always provide an almost unconscious, involuntary lift to your day. 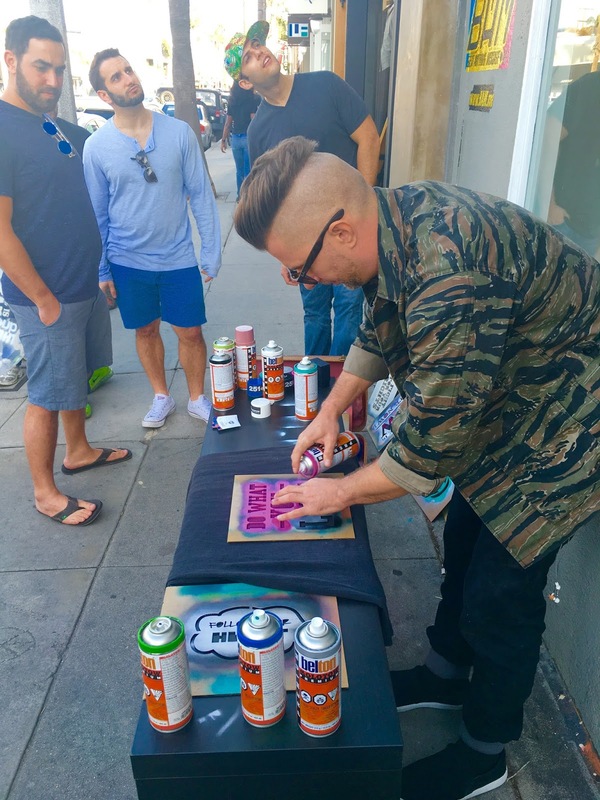 Having seen the art all over for so long, it was really nice to see the artist himself this past weekend, all set up on the sidewalk on Abbot Kinney, stenciling anything that anyone brought to him - for free. People brought t-shirts, hats, furniture, a mannequin, or just had Chase adorn anything they had on them, like their skateboard or cell phone case. I live right around the corner, so went home and got an old dress that could use some pizzazz. Chase hooked me up with a bright pink stencil reading, "DO WHAT YOU LOVE" right there on the back of my dress, as a perfect reminder of which prize to keep your eyes on. I looked around inside the Worldwide Mind space to see Chase's art on the walls, and enjoy an icy PBR while I waited for my dress to dry. 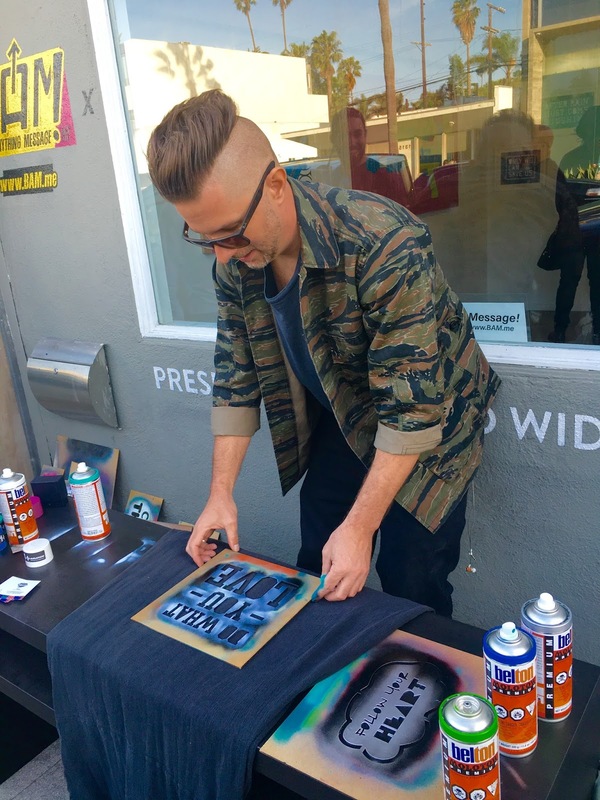 Thanks to Chase not only for sprucing up my dress, but for bringing fun and art to the people both living in and visiting Venice on a busy, sunny Saturday afternoon. Doing what you love, for the pure joy of it. It's really what it's all about.